b. Measure voltage between terminal TS and CG of DLC3. Fig. 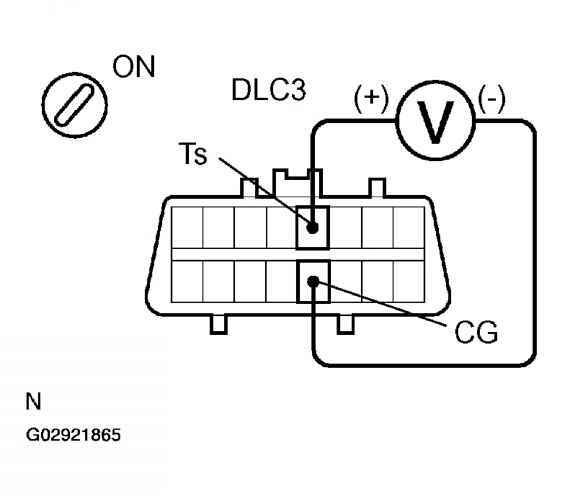 118: Measuring Voltage B/W TS & CG Terminal Of DLC3 Courtesy of TOYOTA MOTOR SALES, U.S.A., INC.
OK: If ABS warning light does not blink even after TS and CG are connected, the ECU may be defective. NG: Go to next step. 2. 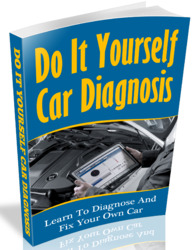 Check for open and short circuit in harness and connector between skid control ECU and DLC3, DLC3 and the body ground (See HOW TO USE THE DIAGNOSTIC CHART AND INSPECTION PROCEDURE ). 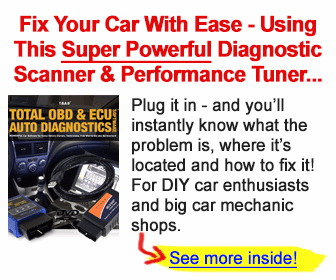 OK: Check and replace skid control ECU.